Deodorants claim to counteract odor from sweat by absorbing it and avoiding under arm skin rashes as many users have sensitive skin. It is therefore important to avoid chemical additives like aluminum and alcohol. 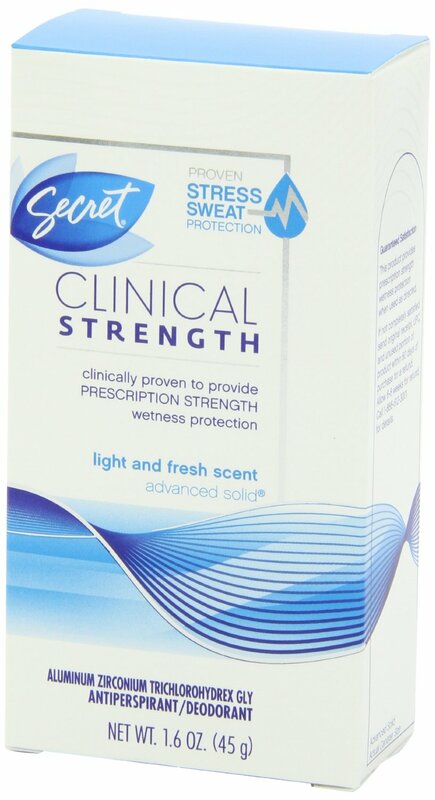 Different scents for Secret Clinical strength Advance Solid are available.including Lavender, Fresh Water Orchid , Fearlessly Fresh, All Day Marathon Fresh, Light and Fresh; Unscented Hypoallergenic and Calming Aloe scent. Th manufacturer caters for different sensitivity and whether or not the person wants a heavily scented deodorant or no scent at all. The deodorant can be applied in solid, smooth solid, invisible solid, which can be applied dry, a clear gel with no white marks, roll on or aerosol spray. The manufacturer identifies stress sweat as being a more pervasive odor which spreads bacteria. It affirms that Secret Clinical Strength Advanced fights odor and protects sensitive skin and does not contain Aluminum which irritates the skin. 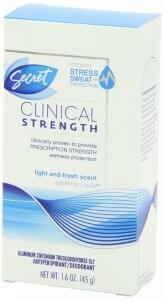 The manufacturer recommends applying Secret Clinical Strength Advance at night when the body temperature and rate of sweating slows. Sweating is the body’s natural way of regulating temperature but sometimes excessive sweating occurs and it recommends Secret Clinical Strength Advanced to reduce heavy sweating. Secret Clinical Strength is only applied for underarm protection. 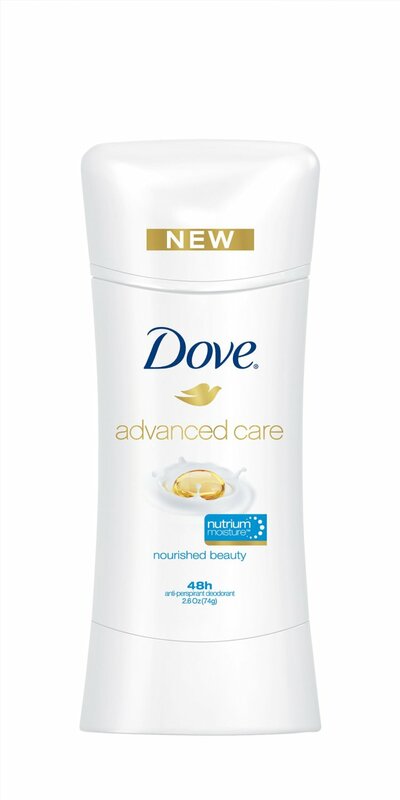 The different under arm deodorant products are Secret Clinical Strength Advance, Outlast for 48 hour deodorant protection with Invisible Solid or Clear Gel. Outlast and Olay for skin soothing 48 hour protection. Fresh Effects gives all day protection and can be either Invisible Solid or Body Mist. Original available in Invisible Solid, Wide Solid, aerosol or roll on. Natural Mineral available in Scent Expressions Invisible Solid. There are more heavily scented options in Scent Expressions available in Body Splash, Clear Gel and Invisible Solid. Some clients said the deodorant did in fact contain aluminum and caused them to suffer a skin rash. Heat can cause skin rashes and perspiration and sweating is a natural process for cooling the body, not enough attention is paid to the long term effects of suppressing sweat. 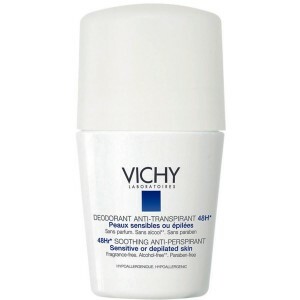 Heat often causes under arm rashes and diabetics often suffer underarm rashes and are sensitive deodorants and scent. Those with sensitive skin suffer from the presence of aluminum which some customers said was present in Secret Clinical Strength Advanced Solid. Whilst having many happy customers there are occasions when it does not work for everyone. The manufacturer says that it should be applied in a thin layer once a day on the skin. Many customers were happy with the product which they said worked well in reducing perspiration and wetness and was scent free. It only needed one application and lasted all day long. However the ingredients show that the product contains aluminum chlorohydrate and alcohol both of which are skin irritants. The product description however says that it is alcohol free. 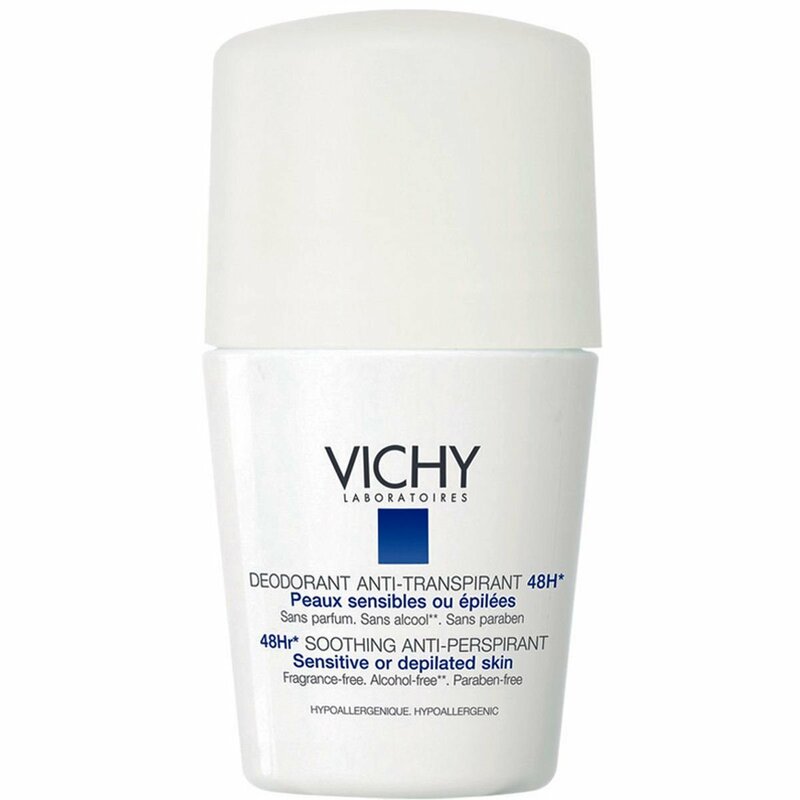 Sopme customers found that their skin reacted adversely to Vichy Anti Transpirant deodorant. The manufacturer says it provides 24 hour under arm odor and wetness protection for women. It also says it moisturizes the skin. Many clients say they like the fact that it is unscented. Dove has a positive client image.